" Le Sommet is one of the highest chalets Europe. The après ski in Val Thorens is awesome, with Malaysia, the largest night club in the Alps, a short walk from the chalet. The Sommet gives you the chance to get in some of the best high altitude skiing in the alps, with the added advantage of access to a sauna and a swimming pool. " Chalet Le Sommet is situated in a panoramic location high up at the top of the resort with sensational views over the village, valley and mountains. Le Sommet is an individual chalet that adjoins the ‘Des Neiges Residence’. It is close to the resort centre and offers good ski access as well as comfortable bedrooms, each with en suite facilities and a balcony, and there are two rooms with additional bunks, ideal for families. A 5 minutes’ downhill walk (500m) from the chalet leads to a bridge where skiers can join the blue Plein Sud piste, ski through the resort and link with ease into the rest of the ski area. The free and regular resort shuttle bus stops only 400m away with buses every 20 minutes for the additional convenience of guests. A particularly attractive feature is the impressive lounge/dining room with its vaulted ceiling, exposed beams and picture windows affording stunning views of the surrounding mountains. In addition all guests have free use of the sauna and swimming pool in the adjoining ‘Des Neiges Residence’, which is open from 1600-2000 every day except Saturday. Attractive chalet, reputedly the highest chalet in Europe! Evening meals will be on 5 nights. Guests will continue to receive breakfast for 7 mornings, afternoon tea and cake for 5 days and 5 nights of three course evening meal with quality complementary wines during meal service. Food is a feature of any ski holiday and we set very high standards for our cuisine. Start the day with a cooked breakfast including your choice of bacon, eggs, sausages and beans, as well as a continental selection with a choice of cereals or porridge, fruit juices, plentiful tea, coffee and bread (and croissants in France), cold meats, cheese and preserves, which is normally presented buffet-style for you to help yourself. A delicious homemade cake accompanied by hot drinks will be laid out for you every day except on the staff’s one day off per week. Our three-course dinner menus start with an glass of Prosecco followed by an appetiser, main course and dessert, accompanied by a choice of complimentary wines, with coffee or tea to follow. Vegetarian options are available if advised in advance. Other special dietary requirements must also be advised to us at the time of booking in order for your chalet hosts to be fully prepared and incur a charge of £35 per person per week to cover the cost of additional ingredients. Failing to book special dietary requirements in advance can incur additional supplements in resort. On your Host’s days off each week, they will leave a simpler continental breakfast out for you to help yourselves, there is no afternoon tea on these days, and you can dine out locally in the evening. Your Resort Representative will gladly help out with information and make a reservation for you if you wish. We serve a separate High Tea at 5:30pm for children aged 11 years and under with an appropriate menu and pureed food is available for infants on request. Parents must accompany their children at high tea. Unless children are part of an ‘exclusive use’ whole-chalet booking in chalets, it is not possible for children aged 11 years and under to eat at the adult sitting. When part of a 'exclusive use' whole-chalet booking children may eat with the adults for a supplement of £39 per child if they have received child discounts. We picked Chalet Le Sommet because of its brilliant location and facilities for groups. The chalet is good value and suited our group of late 20s/early 30 year olds perfectly. 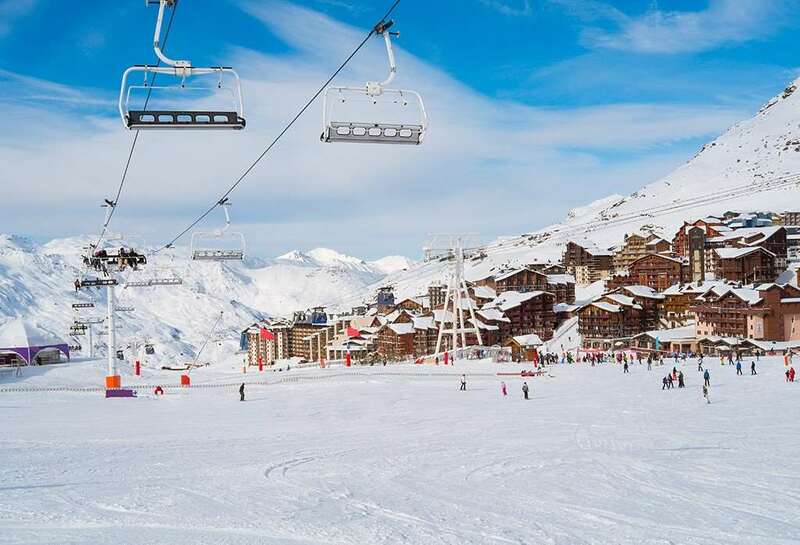 With endless skiing in the Three Valleys and bars and restaurants dotted across the resort, you can’t go wrong with a trip to Val Thorens. If you are travelling in a group, I’d recommend booking early where you can pop your deposit down and pay off over the summer – it’s the only way to organise my friends! Hung over chef in the kitchen this morning moaning like an injured mountain goat, we’ve had to go into the kitchen and ask for milk for coffee. Hot breakfast is a late start because Matt, the chef, couldn’t be bothered. Customer service is the last thing on the staffs mind. We constantly have to ask for mugs, cutlery, crockery. Staff we seen in clear view from the dining room finishing off the guests wine in the kitchen.